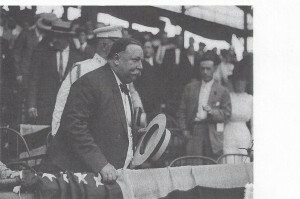 At every nine inning baseball game (high schoolers and Little Leaguers and softballers only play seven innings), all the fans stand up and stretch and sing “Take Me Out to the Ballpark.” I’ve never been to a nine inning game where this didn’t happen – it’s a rock solid baseball tradition that goes back to President Taft days. 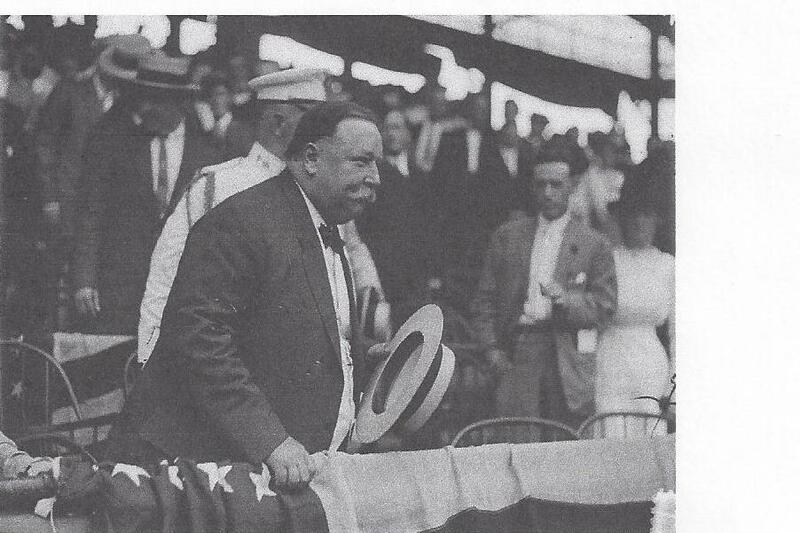 Legend has it that our overweight President was in attendance and just after the conclusion of the top of the 7th decided he needed to stretch. When he stood up all the fans in attendance stood too, and ever since there’s been a 7th Inning stretch in the middle of the 7th. …… Kieran & Maxine are a couple of the lifelong friends I’ve met through baseball. Kieran has been the shortstop on our Bluebirds team since 1980. 2015 will be his 36th straight season – Minnie Minosoesque. For the first 25 years I played behind him in the outfield, but I’ve slowed down lately and no longer have the arm I once had, so now I play first base. At any rate, Maxine went to an Irish dance with Jane, met Kieran, and this led to Kieran (a ballplayer) meeting Dave (also a ballplayer) and the rest is history – except the party we had at the duplex in honor of Max’s saying yes to Kieran’s marriage proposal. From the get-go there was no way this would just be a stag party for men only. We loved having women around and we were all for equality. And on the women’s side they certainly believed they were the equal of us. So it was a Stag/Stagette Party (although that’s not what we called it then – it was only after the men acted a lot like it was a stag party that it’s been referred to as such). When we did this, some of Kieran’s friends just plain cleared out – not just going over to Jane’s side, but leaving the party altogether. The poker game continued intact; all of us acting as if we were dressed normally. The next time Jane came over to check on us, she couldn’t believe her eyes! And dashed back to the other side to spread the word. Quite a few party-goers of both sexes came over to witness the scene for themselves. Soon we put our clothes back on and everybody started dancing.